Farmers will be considering whether allowing public access over their lands poses an unacceptably high risk of being sued where walkers may be injured. Concern is growing following a court judgement where a hill walker was awarded €40,000 in a claim for injury against the National Parks and Wildlife Service. The court heard that Teresa Wall, 59, Rathkingle Cottages, Swords, suffered an injury to her knee when she fell on a boardwalk of partially decayed railway sleepers on August 6th, 2013. It is understood that the judgement is to be appealed to the High Court. those who participate in this activity should be prepared to accept that risk themselves. It is totally unacceptable that a farmer or landowner should find themselves facing a lawsuit through no fault of their own. He said that while the claim in this case concerned a structure put in place by the National Parks and Wildlife Service, there will now be a growing fear of more cases being taken in the courts. “Up to now, the state and hill walking lobbyists had been adamant that farmers had nothing to fear because no case had ever succeeded in the courts against landowners or state agencies. 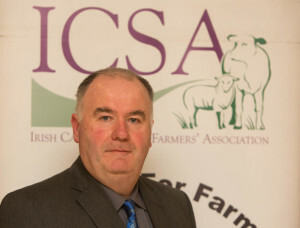 The ICSA, he said “has continuously lobbied for a Government national indemnity for farmers who permit hill walkers and mountaineers to walk across their lands, but so far we have not been successful in our pursuit. “We had made significant progress over the years in fostering good relations with hill walkers. Comhairle na Tuaithe have assisted greatly in encouraging this interaction, but if this judgement is upheld then all that progress will have been reversed. “This ruling has set back all of the progress made in recent years and it makes it difficult for ICSA to encourage farmers to allow access.